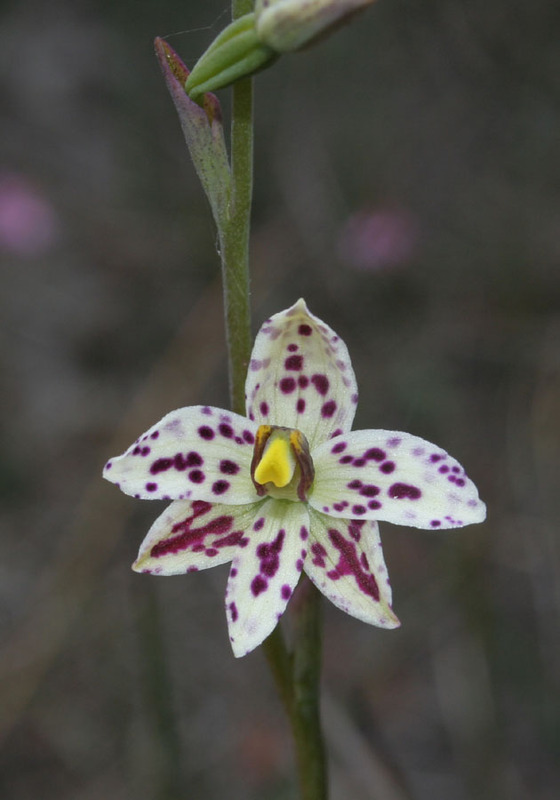 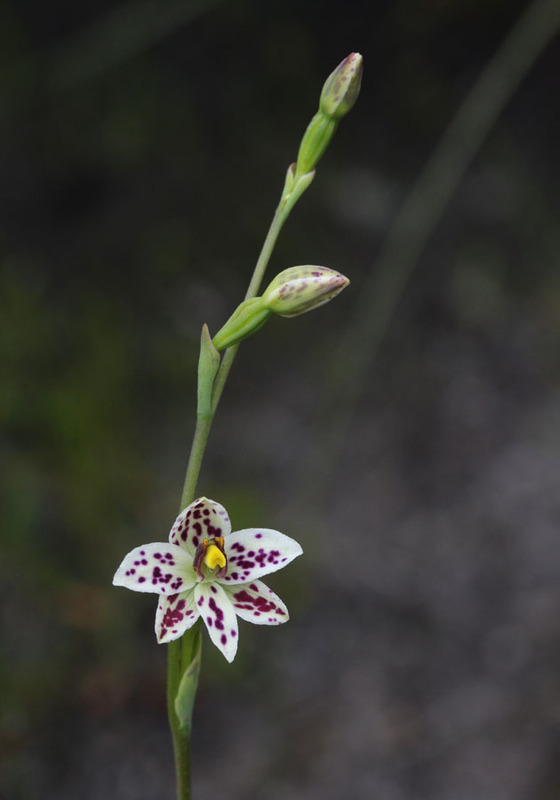 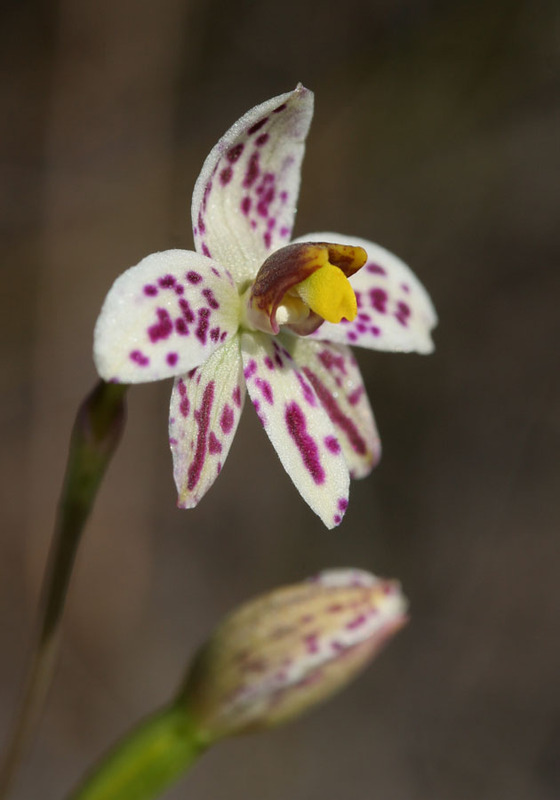 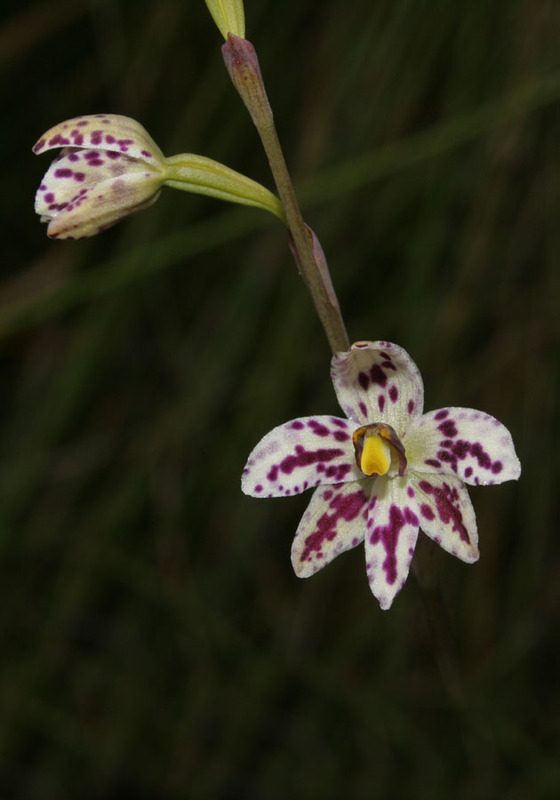 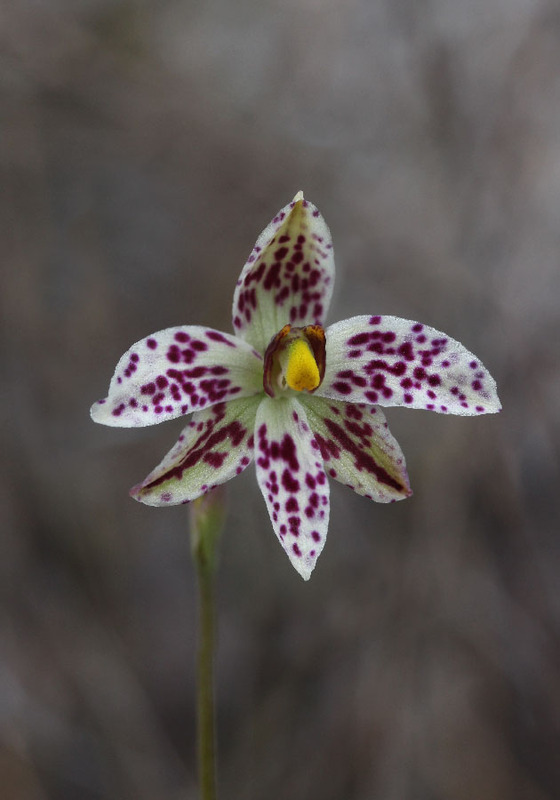 One of the smaller Sun Orchids, this orchid is easily identified by its pale flowers with purple spots. 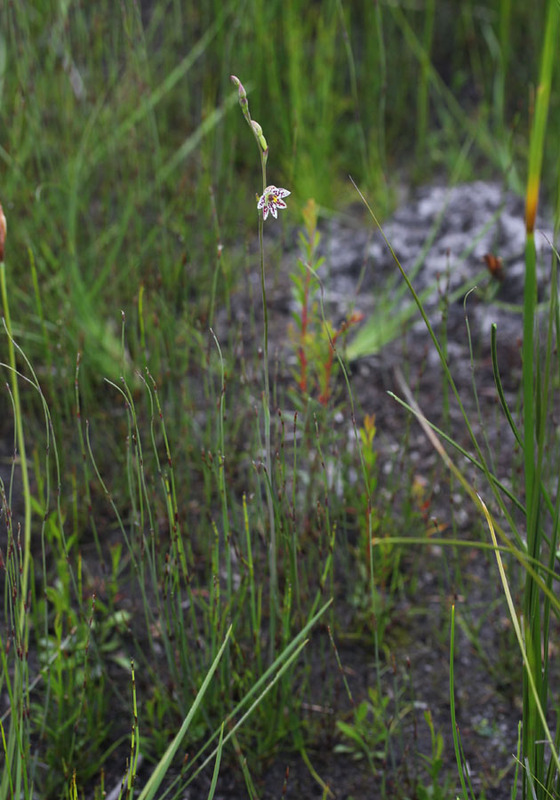 It is found in and around swampy areas (hence its name) and flowers in November when the swamps are beginning to dry out. 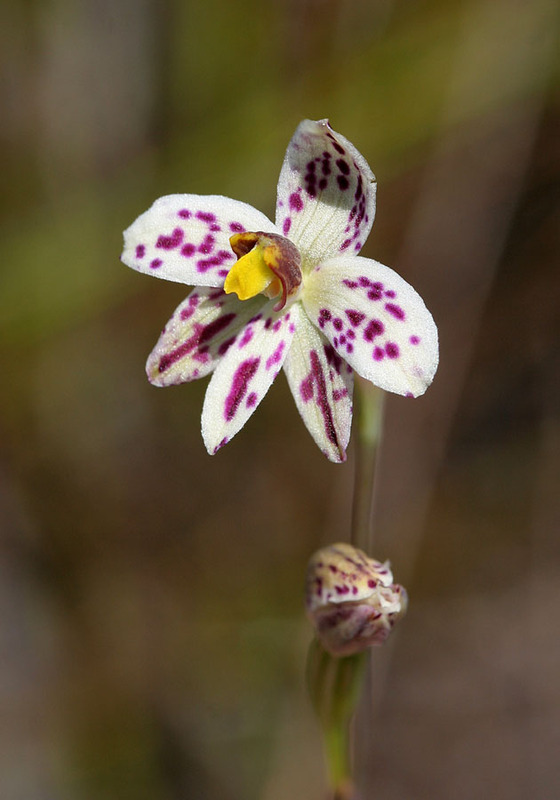 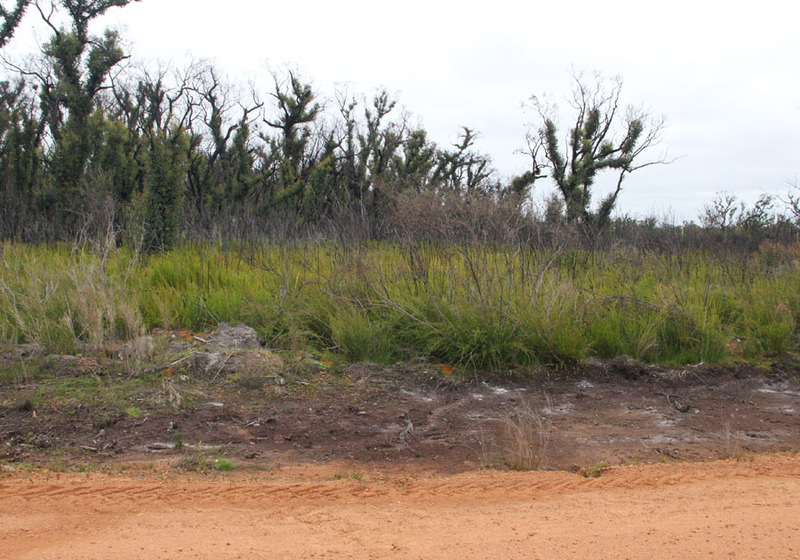 It is found in the lower south west of Western Australia, between Perth and Esperance, mostly in coastal areas. 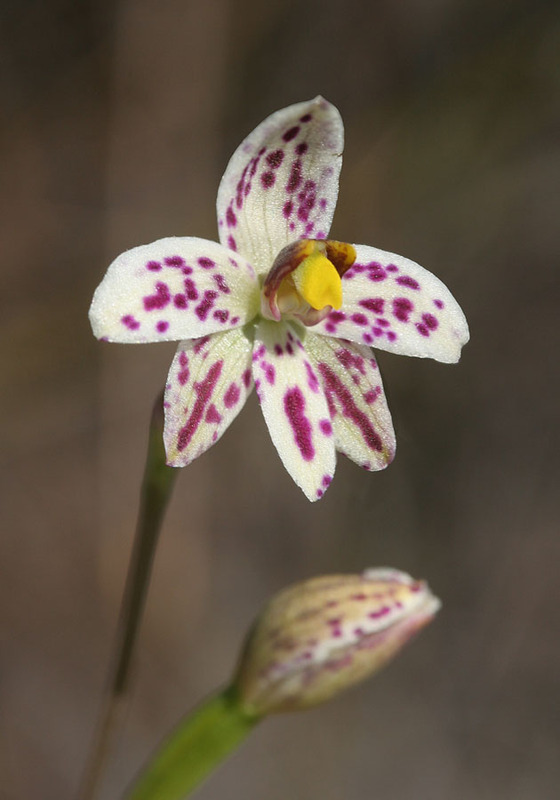 Plants can reach 50cm in height with up to 8 tiny flowers each about 1cm across. 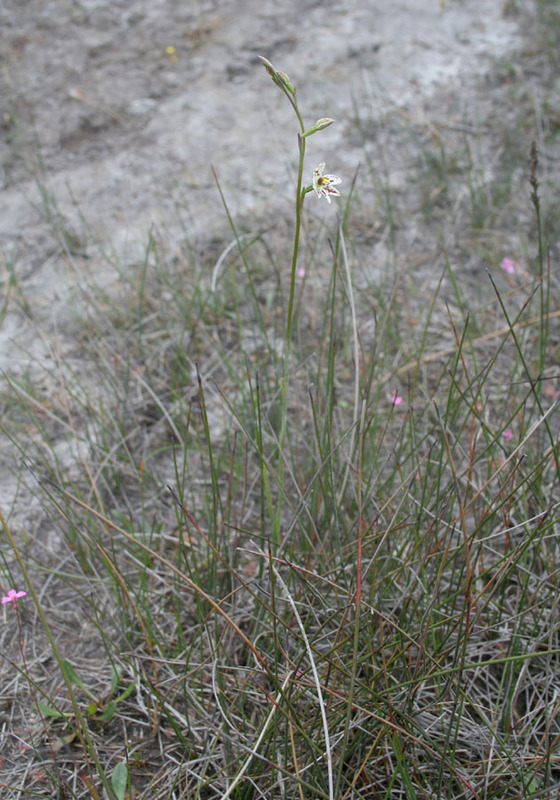 The leaves are very thin, only 1-2mm wide. 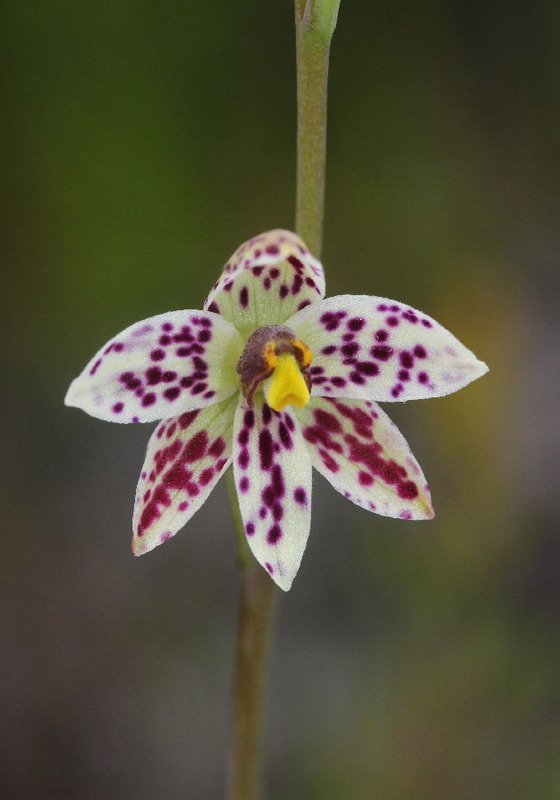 This, with the tiny flowers make this orchid rather hard to spot.